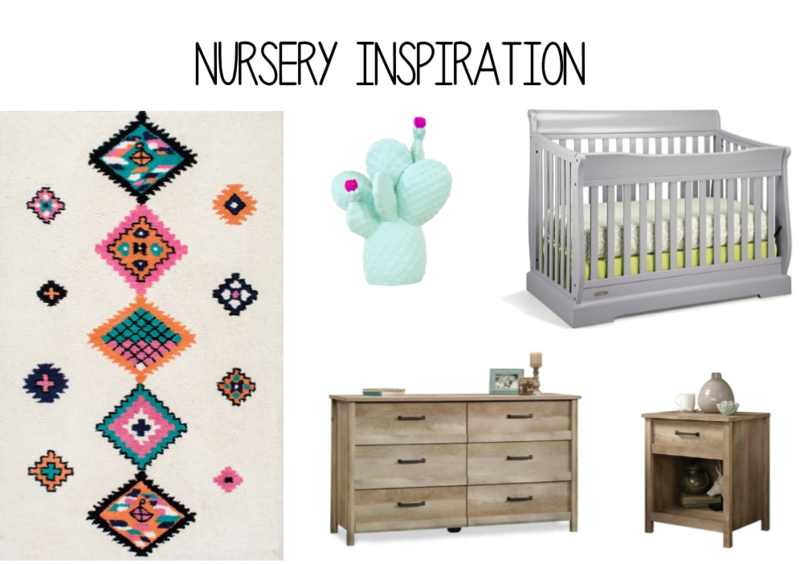 By now you guys know my obsession with all things southwest and rustic so of course that's the theme of the nursery and would be whether it was a boy or a girl, but now that we know its a girl I can narrow down details like colors! I am so pumped about my findings so far. 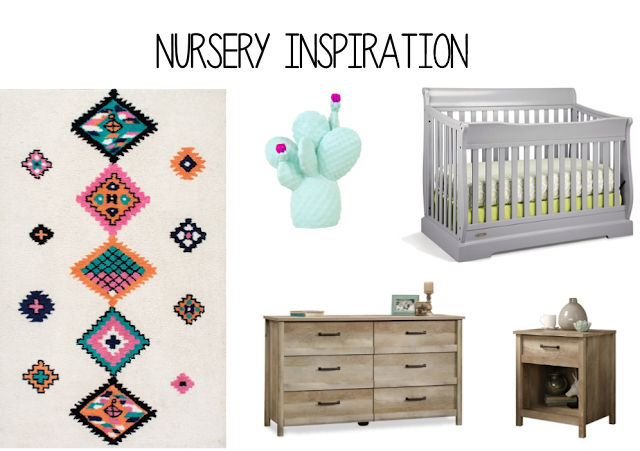 I've ordered the rug and the cactus lamp and my mom is buying the crib so we are set on some of the fun pieces. The rug is definitely going to be the focal point of the room. We kept the walls white and put up the trim which looks amazing against the white and with our chestnut floors. The room the baby will be in is one of my favorites because it has the most natural light in the entire house so it's going to be so beautiful, I cannot wait to see it all come together! I also have a cute mobile and bed skirt (among other things) picked out as well! This will definitely be the most fun part for me, even over buying clothes because I love to decorate and see a room come together! Decorating the nursery is super fun! We have ours partially set up. While we are waiting on getting the rest of the stuff for the gallery wall delivered (and me doing some DIY stuff), I'm making closet organizers to separate Rory's baby clothes by size. That cactus lamp is so cute! I love a simple nursery! I never really understood filling a room with all things pink or blue based on gender! Can't wait to see the final results! Aww, her nursery is going to be so cute. I'm already loving it. You are going to be the best mama ever. Love the rug too cute!! and everything else of course! Can't wait to see it. Love this inspiration & how it fits your style perfectly. Cannot wait to see it come together! Love the theme that you are going with! cant wait to see how it all turns out. Doing the nursery has been my favorite part as well. I cannot wait to see how you bring this look together for baby Ridley! I love this theme! That rug is amazing! Can't wait to see it all come together! oh the rug is fabulous! can't wait to see the finished room, you have fantastic style. the mobile is the cutest thing i've ever seen. 14 Weeks - It's a GIRL!